For reasons unknown, the Kenya Rugby Union appointed one Moses Ndale to head the women committee of the union. The Kenya Rugby Union Board of Directors wishes to announce to all Affiliates, Sponsors and the rugby fraternity that it has appointed lan Mugambi as the Hon. Secretary of the KRU Board. 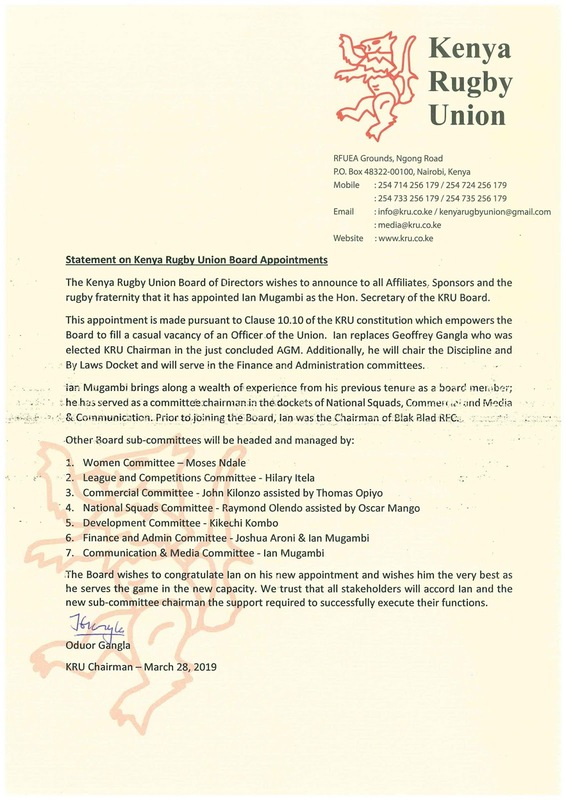 This appointment is made pursuant to Clause 10.10 of the KRU constitution which empowers the Board to fill a casual vacancy of an Officer of the Union. 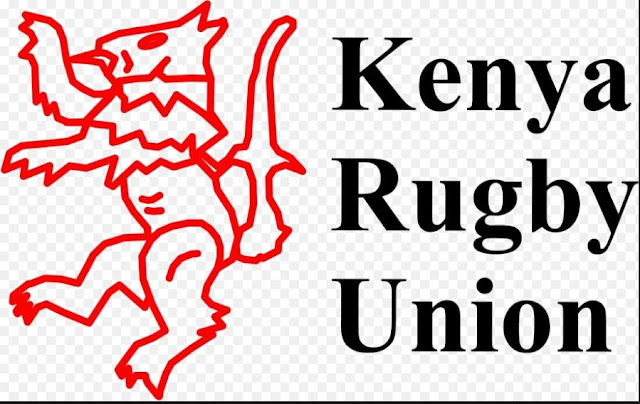 lan replaces Geoffrey Gangla who was elected KRU Chairman in the just concluded AGM. Additionally, he will chair the Discipline and By Laws Docket and will serve in the Finance and Administration committees. .
Ian Mugambi brings along a wealth of experience from his previous tenure as a board member he has served as a committee chairman in the dockets of National Squads, Commercial and Media & Communication. Prior to joining the Board, lan was the Chairman of Biak Blad RFC. The Board wishes to congratulate lan on his new appointment and wishes him the very best as he serves the game in the new capacity. We trust that all stakeholders will accord lan and the new sub-committee chairman the support required to successfully execute their functions.